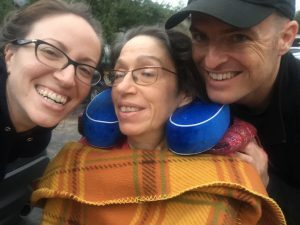 So you’ve heard about making sure you eat plenty of Omega-3’s but what does that mean, and can you help your loved one get more? Let’s start from the beginning. Brain research has shown a potent amount of Omega-3 (polyunsaturated) fatty acids present in specific parts of the brain. Omega-3 fatty acids are not produced by the body, and must therefore be ingested via diet. Not only are Omega-3s believed to tackle inflammation but they promote healthy aging. They have been shown to help make the brain healthier, repair damaged brain cells and reinforce strong neural pathways for brain cells to communicate. Some researchers believe that those effects alone may help prevent cognitive decline and associated conditions like Alzheimer’s and dementia. Chia seeds have gone from the “cha-cha-chia-watch-this-grass-grow-out-of-a-clay-elephant” gift we used to hear about on commercials to the all-natural superfood must-have that’s loaded with protein, zinc, and Omega-3s. Chia seeds also have the unique ability to take on the liquid they are soaked in, forming a somewhat gelatinous and thickened consistency, similar to tapioca. You can also pulverize chia seeds prior to adding them to liquid if you prefer a smoother texture. When it comes to finding easy ways to feed your loved one chia seed, consider this Chia Seed Pudding recipe from Oh She Glows (awesome vegan food blogger). For Mom who was on a dysphagia diet, I ditched the toppings and blended until smooth. We made Mom’s with vanilla coconut milk but making it with whole cow’s milk, almond milk, you name it, sounds like it would be fine. We’ve also blended chia seeds with coconut milk, chipotles, and cream cheese to thicken up a cheese sauce for soups and creamed corn dishes. Did you know eating a handful of nuts has been shown to generally lower your risk of developing heart disease and various metabolic ailments? 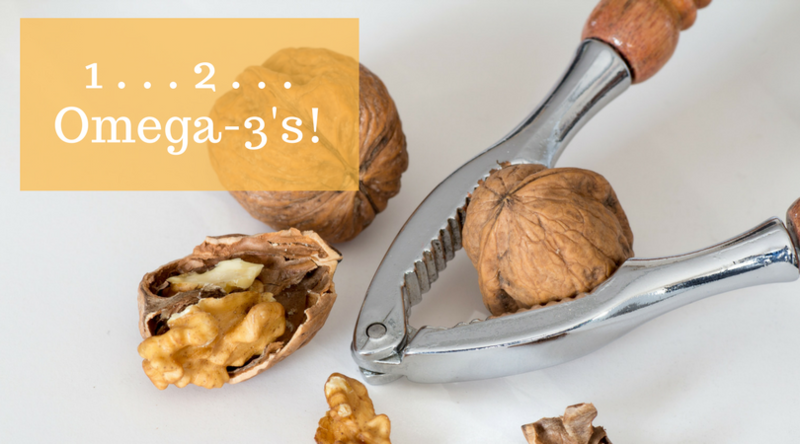 Walnuts, brazil nuts, hazelnuts, pecans, and macadamias all have Omega-3’s in them, so eaten in moderation, are a smart addition to your diet. It’s not easy for older adults, especially, to simply eat a handful of nuts, however, incorporating nut butters into food that your loved one can eat isn’t too difficult. Think about adding a spoonful of almond butter to a milkshake or protein smoothie. Or soaking dry cashews for a few hours and then blending into a cream to add to soups and pasta sauces. The all-important flaxseed is a plant cultivated in cooler regions of the world that is renowned for its Omega-3 content and fiber. Because consuming an entire seed may evade digestion, experts recommend eating ground flaxseed or the oil extracted from the flaxseed plant. We use ground flaxseed meal in a variety of baked goods (it can replace some of your butter or oil in the recipe) including carrot cookies and buttermilk biscuits. It doesn’t add flavor to the foods, just nutrition! You may also want to try mixing it with your loved one’s yogurt or breakfast cereal, or even in the condiments on their sandwich. The MayoClinic does recommend talking to your doctor before incorporating this Omega-3 powerhouse into your diet as it shouldn’t be consumed at the same time as oral medications or supplements. You can also find loads of Omega-3’s in non-plant foods like fish (and fish oil), mainly salmon, mackerel, cod, tuna, herring, anchovies, and sardines, as well as egg yolks.